At Liberty Glass we manufacture proven, cost effective, thermally efficient aluminum frame windows. Aluminum window frames can be fabricated to extremely close tolerances. This, coupled with the material’s strength and durability, insures that an aluminum window will provide years of reliable operation. Aluminum window frames have a superior strength to weight ratio. They are excellent at resisting moisture. Aluminum windows control noise better than most other window types and therefore are popular for institutional and school construction. 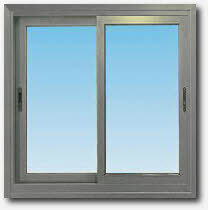 Aluminum windows are economical to purchase and maintain since they require very little care for peak performance. Liberty windows units are thermally broken to minimize heat loss through the frame of the window. Our windows are excellent for commercial applications because they can be designed with a low cross section to yield the maximum possible view area.